While we get to photograph our share of posh, fancy, formal weddings and receptions, we also love weddings that are more casual and relaxed, like this one at Kitsap Memorial State Park near Poulsbo, Washington. 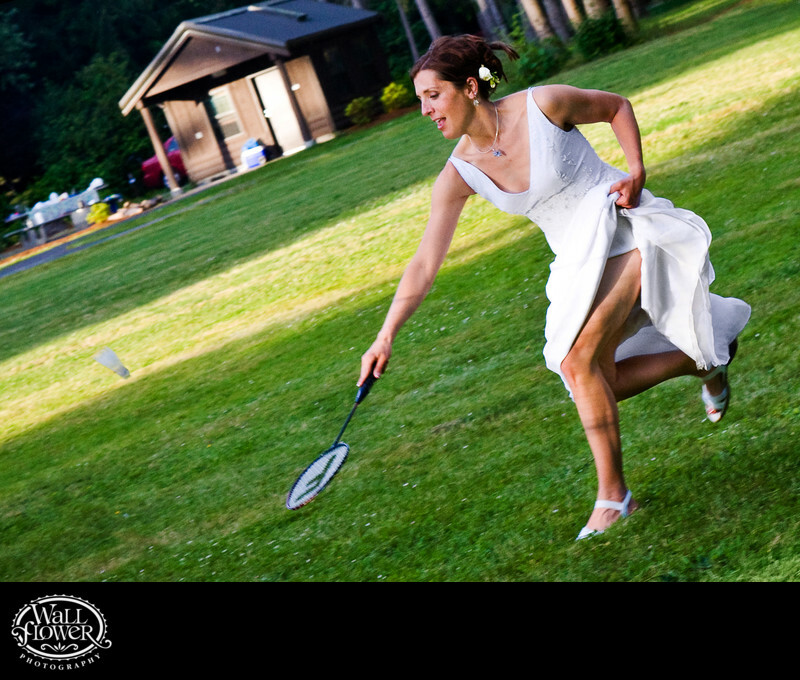 Their wedding reception featured a few different yard games, including badminton, and when the bride jumped into a game we knew we had a chance for a great photo. Here, she's hiking her dress up high — just short of TOO high — to race to the shuttlecock. I love how you can actually see the shadow of the net on her arms and legs!